GCM TECHNOLOGY-RIGHT CHOICE FOR A CLIENT? So what do you do when you recommend a technology like a tablet or e book?? .You are not a tech geek- so how will you choose the right tech product? 4. Follow-up problem solving: Schedule follow-up visits and/or contacts to determine if the technology is being used appropriately. ·4. Evaluation: Determine whether the initial goal has been met, and if not, evaluate whether additional training is required or if the technology should be modified or removed. Potential impediments to technology implementation should be kept in mind during this process. The care manager should anticipate that many clients are not familiar with specific technologies, have not used new technologies (including smart phones), and may not be comfortable with technology in general. Even more fundamentally, clients may resist the use of technology because they are in denial that they need care or may resent the loss of independence that the technology signifies, and thus may try to sabotage or avoid using it. A client’s limitations, such as physical impairment (e.g., vision, hearing loss), technical difficulty, and impaired cognitive ability may limit the use of some technologies, but support from a care provider can easily help overcome some of these limitations. Consideration should also be given to balancing a client’s need for privacy, autonomy, and dignity with the usefulness of certain aging in place technologies. 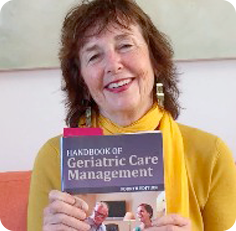 The third client database foraging life or geriatric care managers is Jewel Code Their web site will tell you their features in detail. They allow you to do medication management, offer assessment and care plan tools, are HIPPA compliant, interface with Quick books for billing so you can enter client notes, track time spent and with a separate service called Mobile Case notes that allows you do all this in the field on your phone, I pad or other devices. This is a general list and best to call a service rep in all cases. Again, compare it to this master list of why you need a client data as a aging life, GCM and see if this choice fits your own professional your and budget. This is a general list and best to call a service rep in all cases. 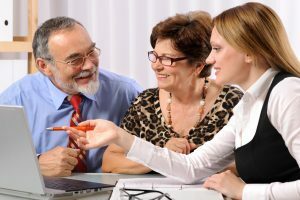 Again, compare it to this master list of why you need a client data as a aging life, GCM and see if this choice fits your own professional your and budget.